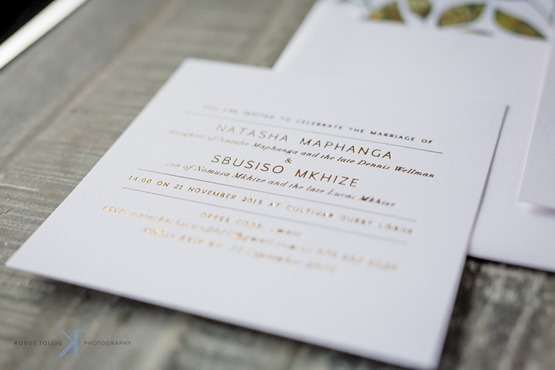 You know it’s just going to be fabulous when the invite is printed letterpress and foil gold. 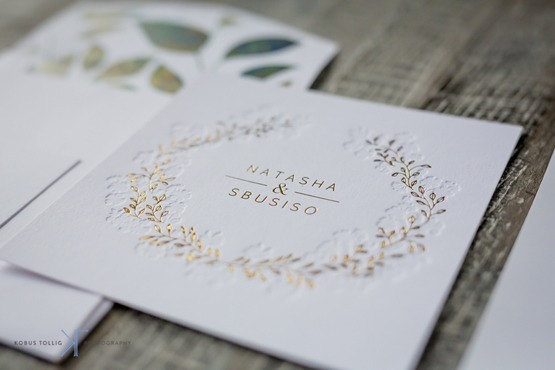 We absolutely loved these…the design, the paper, the letterpress, the gold finish, the whole celebrity wedding feel that the invite reflected. 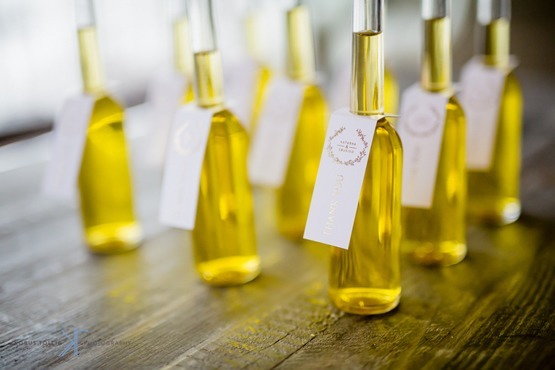 On the day stationery included gold foiled menus, thank you cards, foiled table numbers and gold foiled tags that went on the exquisite olive oil gift bottles. 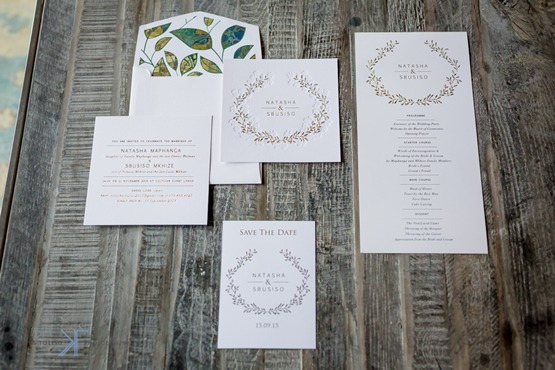 As is evident the subtle touches made all the difference and adding a little something special to your wedding gifts will help you achieve this. 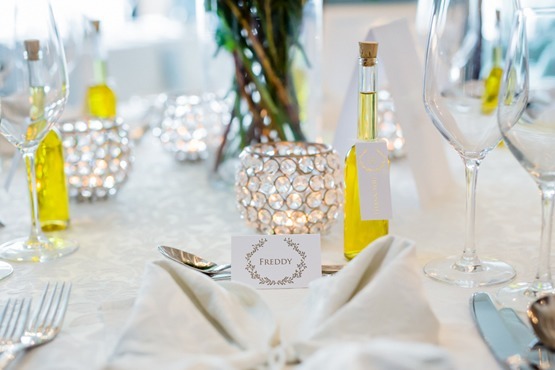 Organic gifts like olive oil with a foiled monogram sticker or tag will add that extra special element to your wedding tables. 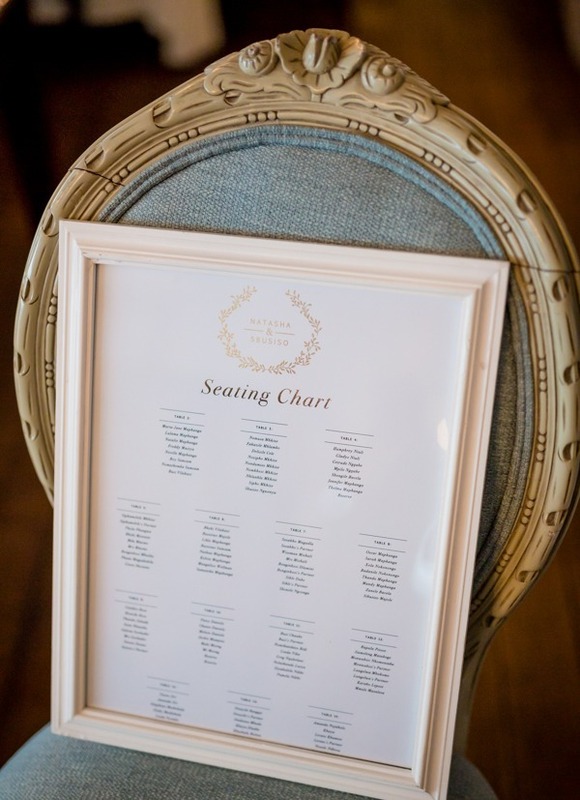 Finish off your tables by following through with your design theme by incorporating guest name tags, this will make yours a wedding to remember. All in all, this project was a hit.